Recently in the book community, book bloggers have been calling out authors for misrepresentation and/or accuses their book as being ‘problematic’. But, what exactly makes a book problematic? First, let’s see what the definition of problematic is. There are loads more, but those are just a few I could think of off the top of my head. Also, I have only read two of the books on the list so I am merely guessing with the ‘issues’ the books are said to have. Now, the real question here is are these books truly problematic? Are people just putting labels on something that isn’t there or are these books truly something with content that should either be censored or not even published in the first place? This is a very difficult thing to discuss, especially me, somebody who has only recently in the last year begun to think about what problems or issues could arise from a book and it’s contents. When an author writes about race, religion, sexuality, and relationships that could (potentially) be harmful and/or send the wrong message to the reader, issues arise and all it takes is one person pointing out the book’s flaws until the entire community goes up in flames. Sometimes this happens before a book is even released, while other times it happens to a book that’s been out for years but people are just now noticing the possible problems in it’s contents. Now let’s steer back to the original question: what makes a book problematic? I think I should rephrase this in a better way: how does a problematic book effect the people who are part of the minority represented in the literature they read? The people who are faced with this poor representation and personally feel the impact the poor representation a certain book has on the group they categorize themselves in are the ones whom we should think about when we call out a book for being problematic. If I am to be more specific, I’ll use an example I’ve only recently seen in the book community because it’s been brought to light the true problems the book holds by Whitney from WhittyNovels. If you’re a follower of hers on Twitter you’ll know that the book I’m talking about is The Bronze Horseman. 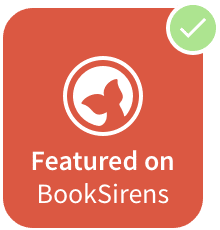 I won’t go into specifics on the problematic aspects of this book here, but you can read Whitney’s review here where she explains it all. Now, the point I’m trying to get across with The Bronze Horseman is the fact that countless people on Twitter – me included – have replied to Whitney’s tweets saying that she is the first person they’ve seen who has brought forth the problematic aspects the book has. This itself is a problem. This book has an abusive, controlling relationship but isn’t label as such. It romanticizes abuse and makes it seem normal to the reader. If we aren’t able to call out a book that actually is problematic, but call out a book that isn’t, what kind of community are we? Read When Dimple Met Rishi – where people were accusing Dimple of being borderline abusive to Rishi – and then read Whitney’s review (or even just the snippets from the book she posted) – and tell me which book should be called out as being problematic. The wrong books are being called out for being problematic and this is more – well – problematic than the actual books themselves. You don’t want to mislead readers into thinking that one thing is problematic when really it isn’t. Most of the books we talk about here in the book community are Young Adult books. And what are Young Adult books? They’re books geared towards the younger audience about people their age. If a book categorized as YA has an abusive relationship or some other form of harmful misrepresentation that could be considered problematic, but the reader doesn’t know that what they’re reading isn’t healthy or considered normal, then they won’t know any different. This can cause personal harm to the reader because he or she won’t know the difference between a healthy relationship and a harmful one. The books we read influence the way we think and act in the real world. Keep that in mind the next time you recommend a book with problematic aspects to a friend. When a book has a POC or a character from the LGBTQ+ community, the reader that isn’t part of either groups might begin to think of everyone that is POC or identifies as LGBTQ+ as the way they’re represented in the book they read. This can cause issues if they are written inaccurately. I’m not saying that we shouldn’t read these books or that we can’t enjoy them, but we need to be aware of the issues that could arise from them being out there in the world for young people to read and learn from. I’m not an expert on what makes a book problematic, but I did want to talk about problematic books and what can happen when readers indulge in these books. Also, before you leave, I just recently reached 500 followers on the blog and I’m putting together a Q&A post in celebration of that so feel free to leave any questions you have for me in the comments! You make a great point that pointing out the wrong books as being problematic and not pointing out the ones that are is definitely a problem. I feel what you’re saying because I often come across books where a character has a physical disability and then it gets cured by magic or is represented poorly/incorrectly in some way, and I’ll look through the reviews and realize I’m literally the first and/or only one to mention the problems. And I agree that I don’t think people necessarily need to stop reading every book that might be or is problematic, but we do need to be aware of why the books are problematic. The things we read absolutely do influence the way we think and act, so it’s when we don’t realize that something is problematic that it becomes truly harmful. That’s a great example. Unfortunately in a lot of books where people have a physical disability they’re always cured in order to be ‘fixed’ or like you said, represented poorly. And the way it effects how we think, thus act, really changes more than we’d like to admit. It’s really difficult when to call a book problematic and when not though. For me it really depends on how many problematic aspects there are, and how big they are. No work of fiction is perfect and they’ll all mess up in some way or another. Especially since everyone has different opinions – what one person from the same minority may find offensive, the other may not have a problem with at all. So yep this is definitely a complicated issue haha. On a completely different note: Congrats on 500 followers! A question for the q&a: if you could only change one book cover, which one would you change, how and why? I complete agree with you. It is difficult when calling out a book for being problematic since every book has it’s flaws. It took me so long (about a month) of opening and closing the draft of this post before I was able to finish writing it because the topic is such a difficult one to write about. Ooh I like this question! I’d probably change the cover for the ARC I’m reading right now on Netgalley called Echo After Echo. It’s bright and colorful so it gets your attention but it’s also just kind of… ugly and unappealing. I don’t know how I’d change it but I’d make it look more like a theater stage (since it’s about someone that acts on stage). I know right! The example I used from TBH was only one of many *sigh*. A very hard subject and one which will only get more attention as social media use increases. Where do you draw the line? Every reader reads a book differently and their own experience, background and knowledge will affect what they take from a book. There is a danger that the good intentions of ‘calling a book out’ for the sake of other readers, gets jumped upon by those who like controversy. There have always been books that people have strong opinions on, just look at all the books which get highlighted in ‘banned book week’, the difference now, is that social media allows more people to have a voice about it. In fact often social media helps a book, take Fifty Shades Of Grey as a prime example. The content appalled many, but the book flew off the shelves and the movie industry also made a mint out of it. Thirteen Reasons Why is another book that has benefited from mass media attention, but makes readers angry with its content. I wonder what readers would have thought of either of these two books if they read them without ANY prior knowledge of the book or other people’s opinions? Interesting way of thinking about it. Social media and the opinions of others certainly effects the way a lot of people see the books they read (as well as the popularity of the book as you mentioned with fifty shades and 13 reasons). I agree that it does all depend on a person’s background and how they read the book that effects what they take away from it. You make a point at the end there. I do think that a lot of the time people don’t even realize that what they are reading can be seen as problematic from another person’s viewpoint until it’s pointed out to them. Good post. Sharing it in weekly wrap-up, if you don’t mind. Spot on about the wrong books being called out. Also, grats about the 500! I think it’s hard to deem a book truly problematic, but some things are a matter of opinion. It really depends on what a person has experienced, seen, or read about. I also wanted to let you know that I’ve nominated you for the One Lovely Blog Award! Yeah, it is a difficult matter when classifying a book as problematic because problematic means something different to everyone. Thank you for the nomination!! Hi! Great post! I agree that it is so important to identify problematic books and call them out as such. As you mentioned, because YA books cater to a young audience, having abusive relationships portrayed in an acceptable manner sends the wrong message out to teens and young adults. I read Dimple and Rishi recently and I didn’t previously think that it was problematic. However I will take a look at the review you mentioned and consider that point of view. Thanks for sharing! I agree with you 10000% on this. Nowadays, reviewers and reviews are pretty important for readers because of how it affects how one would think about a book they haven’t read yet. Problematic books need to be called out, I agree. Sometimes though, reviewers also need to be careful of calling a book problematic, well in fact they are dealing with a problematic subject instead of romanticizing a problematic subject. Those are different things. Like for example, a book deals with abuse. Abuse is problematic as it is, but did the author treat the subject with care and understanding. Did they get the right message across to the readers? Or were they sending the wrong message? It all depends on what the output is and not the subject one book is dealing with. Yes! It all depends on how the author writes the book, not exactly the subject matter. I’ve only read one of the books you listed so I can’t speak to those specific ones, but I do have to say that (in my opinion) there are levels of “problematic”. Saying one book is problematic and another isn’t is always iffy. For example, a book may have strong female characters but have racist undertones and be problematic in one way but not necessarily in another. Unfortunately, I think the online community has a tendency to vilify people and things without knowing all the facts first, and that is never good. However, discussions like these open up conversations, and that is always my goal when I talk about problematic books and authors, including ones I personally really enjoy reading (*cough* SJM *cough*). Great post! I haven’t read those books yet, and I never actually read a book that is REALLY problematic. However, I think it is very crucial for us to discuss and acknowledge problematic themes and characters in a book, so the readers and new readers will know how to differentiate from what is okay and not okay to do. Spreading awareness is so important. That is why we book bloggers and booktubers are important. 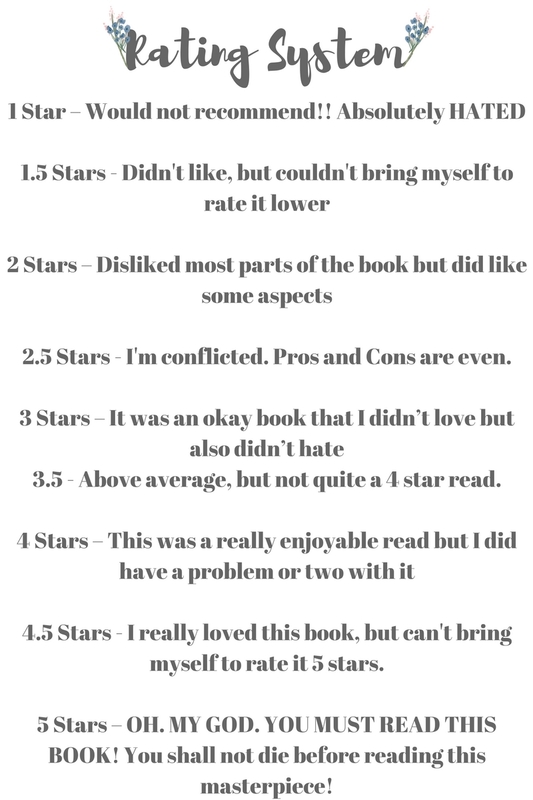 We review books, either it is bad or good. We accept people’s opinion even though their’s are opposite. We readers will always have the right to voice out our opinion to the book industry, in order to do CHANGES!